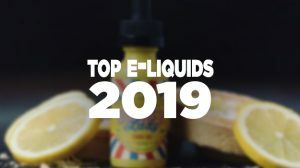 If you were a fan of Joyetech’s latest innovation, the eVic-VTC Mini, you’re going to absolutely love the eVic-VTC Mini V2! 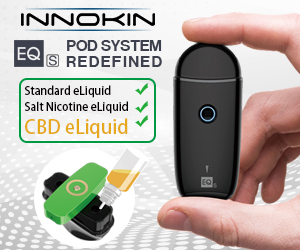 This little monster not only looks fantastic, but it performs great and features the industry’s latest technology, temperature control. Now that we have your attention, let us tell you more about this second version of the eVic-VTC Mini Series. 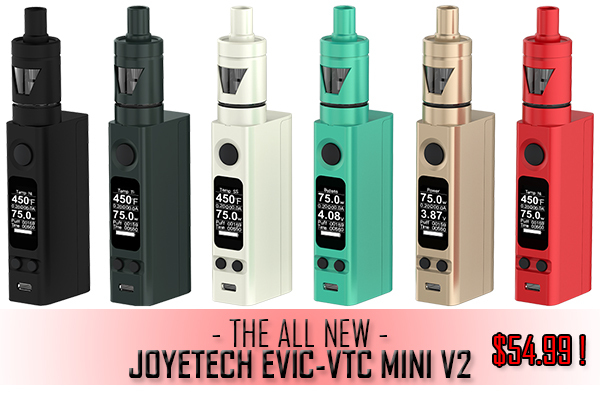 The eVic-VTC Mini V2 by Joyetech is the second version to the eVic-VTC Mini Series. This second version offers more colors, including Black, White, Gray, Red, Gold and Cyan. 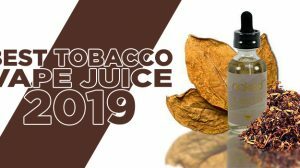 It also utilizes the Joyetech Tron-S Kit, which has a highly appealing appearance and a 4mL e-liquid capacity. 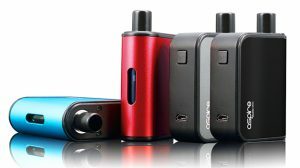 Furthermore, you’ll also get to take advantage of 75 watts, 15 watts more than what was originally offered with the first eVic-VTC Mini. 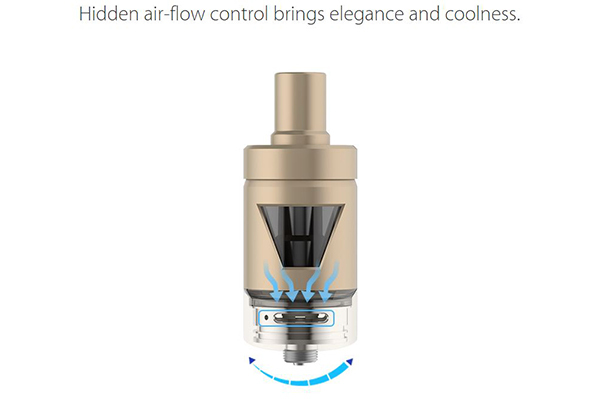 The new eVic-VTC Mini V2 now also comes with a new VT-SS mode, which will allow you to use stainless steel coils. 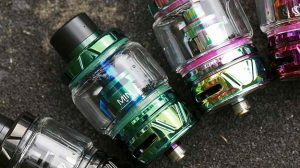 With the Tron-S Atomizer, you’ll get to truly customize it with included silicone rings as shown in the picture above and it features hidden airflow so that the atomizer gives a seamless look. There are a slew of features that come with this kit, and it’s all for your taking!